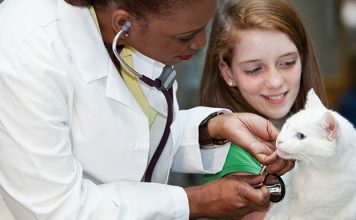 Boehringer Ingelheim’s Animal Health is a global leader in innovating solutions in veterinary medicine. As a research-driven company Boehringer provides antiparasitics, vaccines, pharmaceutical specialties and services, which help our customers to better care for the health and wellbeing of their animals. We firmly believe that when animals are healthy, humans are healthier. Our goal is to prevent rather than treat diseases wherever possible, and we aim at adding value to our customers through the emotional benefit they derive from spending time with their companion animals or from the productivity of their livestock. Our outstanding investment into innovation reflects our passion for animal health and commitment to making the industry even better at improving the lives of both humans and animals. In this effort we have one of the strongest R&D teams in the industry with over 1,200 colleagues in four continents involved in bringing innovation to the market. In addition, we rely on a strong network of external collaboration and innovation partners and strategic alliances with whom we develop ideas and turn those ideas into products. Those partners include universities, academic and government research institutions in many regions, as well as biotech and animal health companies of different sizes. Boehringer Ingelheim recognises that in a competitive and fast changing world, the values of products, services and companies are constantly changing. In order for things to have real value to the customer, they have to be superior to any other offering – and therefore better than they were before. Real customer value can only be created by the Boehringer Ingelheim group of companies constantly finding ways of doing new things well, or doing the same things better. The only way for the company to create Value is through Innovation. We are passionate about animal health, and we recognise the critical importance of serving animal health needs globally, with a special focus on prevention. We know that when animals are healthy, humans are healthier, too. Farmers can count on us to support them in raising and caring for animals in a healthy, sustainable and financially viable way, because we want to build confidence with consumers about the food they eat. Committed to improving the lives of patients by exploring innovative ways for biosimilars to contribute to the quality and economic sustainability of healthcare. Innovation is inscribed in our Company vision “Value through Innovation”. But what is it to innovate in research? And how does a family-owned pharmaceutical company, established more than a century ago, remain at the forefront of innovation and ready to address the challenges of a rapidly changing life-science ecosystem? Research is the key to innovation: to achieve the goal of a healthier future, Boehringer Ingelheim researches and develops new medicines. There is a long way to go until patients can benefit from our new products. Clinical research phase I to phase III.